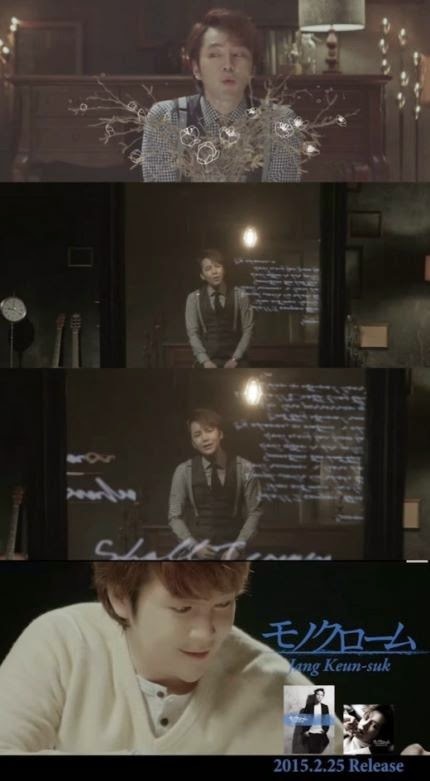 [TV Report = junyoung News] Teaser video of the title track "Hidamari" of Jang Keun Suk's third album, 'Monochrome' was released. On the 11th, Japanese entertainment company Pony Canyon has shown Jang Keun Suk's "Hidamari" teaser in his official YouTube channel. Published 24 seconds of video, Jang Keun Suk singing in Japanese in the room with the guitar and the piano. Jang Geun Suk Japanese unique sweet voice with the accompaniment of a lively rhythm, captivated the listener at the moment they heard the harmony. "Honey Honey Honey if you smile at me, that will give a soft light to my colorless monochrome life"
The pure through the lyrics and his eyes as a child really attract to audiences. Meanwhile, Jang Keun Suk's third album "Monochrome" and the title track "Hidamari" will released the next February 25 .